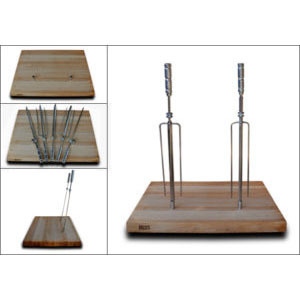 Wildwoods skewer Carving Station offer a great way to display and carve meats. Ideally used on buffet lines, or as part of an action station, these boards display meats and entice guest. Made from premium quality Boos Block, our board features built in skewer holders to showcase your delicious meats. If you’re looking for a great way to enhance your “show” this is a simple and cost effective way to add more class to your events.